Do Certain Foods Really Increase Your Metabolism? You have probably heard the notion that certain foods burn fat better than others. Doing a quick internet search on the subject will send you to thousands of articles, which all claim this. The notion goes that the energy in the food is more than the amount of calories in the food itself, so foods that are low in calories and high in fiber will speed up the fat burning process by boosting your metabolic rate to increase your metabolism. 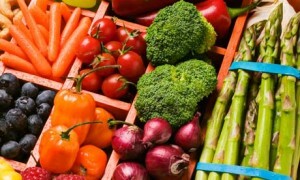 Examples of some of these foods include things like beans, vegetables and fruit. But is there any truth to the idea that eating certain foods will help you lose weight fast? According to Mayo Clinic, only about 10% of the calories you eat actually contribute to helping you burn additional calories. Although beans are low in calories and may be harder for your body to breakdown, it doesn’t necessarily mean that they will help you burn additional fat. Many people also consider milk to be a fat-burning food, since the calcium in milk will help you lose weight faster by speeding up the absorption rate. But a limited number of scientific studies actually suggest this. You should think of fat-burning foods in a more scientific manner. Although some foods might not necessarily increase the amount of calories you actually burn, consuming some foods can help keep you full and insulin levels low, resulting in a reduced appetite and greater fat loss. Some people also claim that fat burning foods that are high in protein like chicken, turkey, and fish will help you burn additional calories because of the body has to work harder to breakdown the food. While there are absolutely no scientific studies which suggest this, consuming foods that are high in protein can also help keep you full, since they are typically high in fiber and are harder for your body to breakdown as well. In addition to protein though, some people are suggesting that consuming high amounts of fat can have the same, if not a better effect on fat loss, since fat digests slower than protein and is nutritionally dense as well. Quite honestly, the entire idea that certain foods increase your metabolism and burn additional calories is pretty ridiculous, since there are no scientific studies which even suggest this. Nevertheless, consuming certain foods can definitely have a positive effect on fat loss, for the reasons talked about above. While we won’t know for sure whether or not this is a valid claim until some more scientific research comes out on the subject, we can come to the conclusions listed above. What to do with all of this information? Always follow a diet that’s suitable for you. Ideally, a diet that is high in fibrous carbohydrates, protein and healthy fats will help you lose fat, gain muscle fast and keep it off in the long run. Also, make sure to drink plenty of water, since water can help keep you full in between meals, resulting in a reduced appetite. Keep in mind that if your goal is to lose weight, exercising regularly can help you achieve this goal. Great info, thanks for sharing. I think the notion that foods can actually accelerate metabolism and help us lose weight faster gets traction because we want it to be true. We want that magic pill or super secret piece of info to help us lose weight faster. The real secret, as you suggested here, is to eat a healthy, balanced diet, and make sure to add more water and fiber rich foods to help you feel full. That will keep us away from the extra calories. Now…I just have to go put that into action!